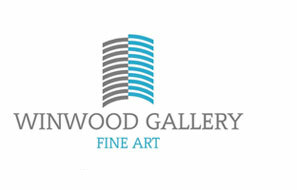 Winwood Gallery started from a private collection and has become an Art Gallery that specializes in original Fine Art prints made by professional artists. We concentrate on a few artists in Contemporary Art, ranging from worldwide known artists like David Hockney, Francis Bacon, Luc Tuymans, Marcel Broodthaers and Michael Borremans to a number of artists that are building on their contribution to the world of art. In particular we offer a wide variety of beautiful prints by Luc Tuymans, Marcel Broodthaers and David Hockney. Furthermore we offer a wide variety of gelatin silver prints of a number of photographers, in particular Robert Mapplethorpe and Wouter Deruytter. We operate our activities on internet. This medium has a great range and makes viewing and selecting art easily. And in this way cotsts can be kept low. You will find that reflected in the prices of our offered works. Our complete stock can be viewed online. Additional pictures can be requested at any time. But of course it is always possible to inspect the artwork before a decision to purchase. We are based in Belgium and inspections can be arranged at a number of different places. In addition, you can always call or mail us with any question, minor or major. Whether you are an experienced collector or just interested in getting started, you will find that we are approachable to our customers at all levels of interest and experience. We believe, in addition to art collecting being both interesting and a good investment, that it should be fun in the first place. And we want you to have fun with art at home as much as we do!